Sold in Pairs. 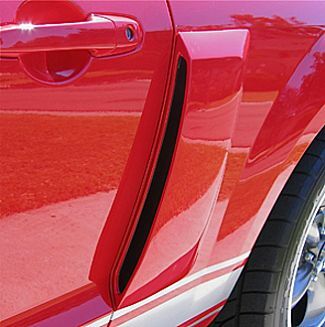 Street Scene 950-70774 side quarter panel brake ducts on a 2010+ Mustang GT and V6. Made from tough flexible urethane. Goes on in minutes.Installs to the vehicle quarter panels with double-sided tape. No cutting or drilling is required. Die-cut Black vinyl decals are included to install in the front of the scoops once they have have been painted. Pre-fit all parts prior to paint or installation. 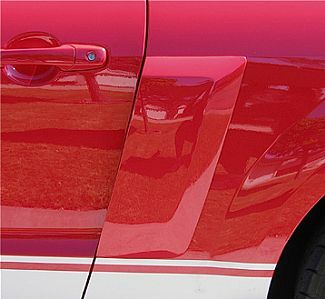 Parts that have been painted, drilled or installed are not eligible for return.